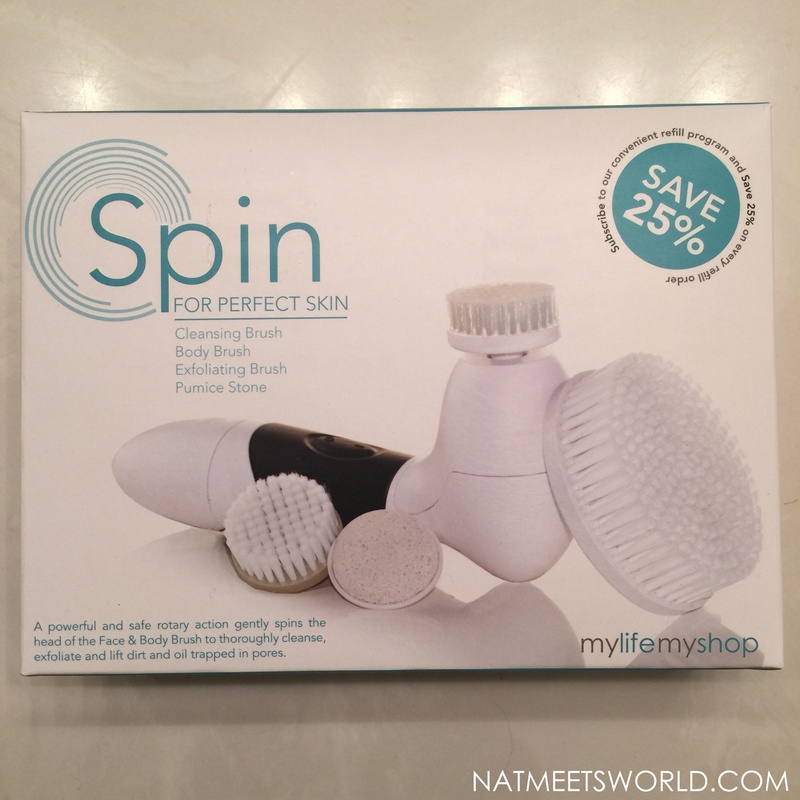 Spin For Perfect Skin Face Brush Takes Clean Skin To Another Level! 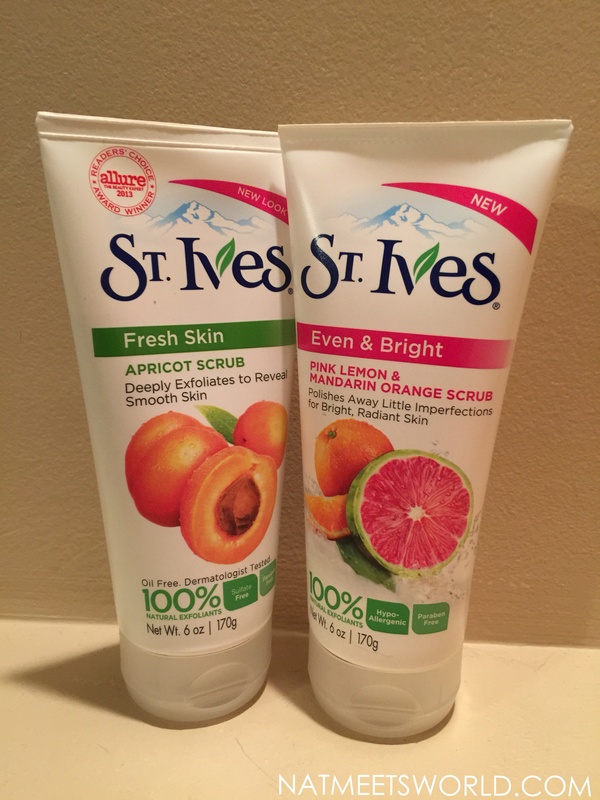 I am all about perfect skin, especially when it comes to my face. It is the one area of my beauty routine that I never beat around on. I want my face to glow no matter what age I may be, and I want it to look as flawless as possible, so I always look into new ways of accomplishing this goal. One really difficult task to accomplish is to completely remove all of your make-up and unclog all of those pores. I know what you’re thinking: Yes, Nat, that is so true! I know, I feel you sweetie. The good news is that I have got my hands on this sweet little number that does just that! Spin brushes are on my holy grail list for beauty musts. I realize that even after washing my face 2-3 times, when I use a spin brush (after those 2-3 washes) I am appalled at how much make-up and dirt/oil is still on my face when I see it all over the spinning brush. 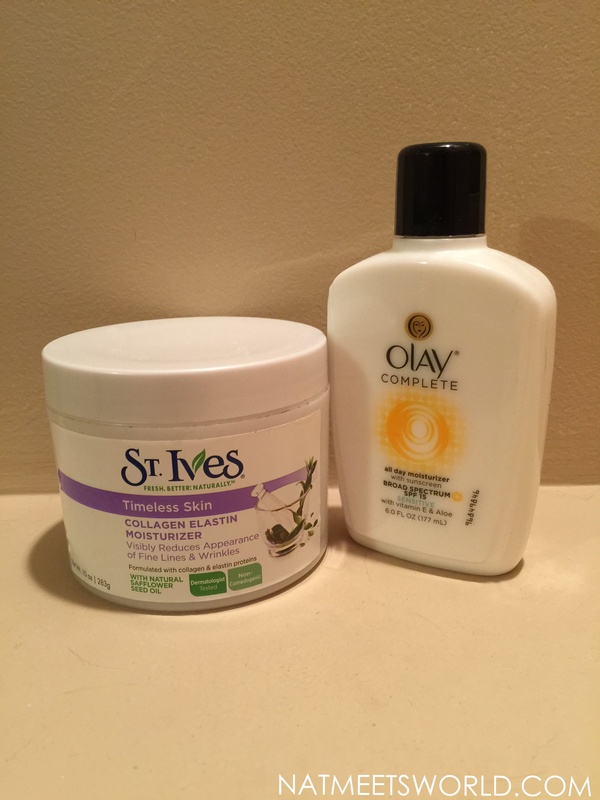 It’s really amazing how strong our pores hold in these products! Spin brushes can be very expensive, but look no further than the Spin For Perfect Skin spin brush from Vanity Planet. This powerful baby does a fantastic job at removing impurities and leaving your skin feeling fresh and new. 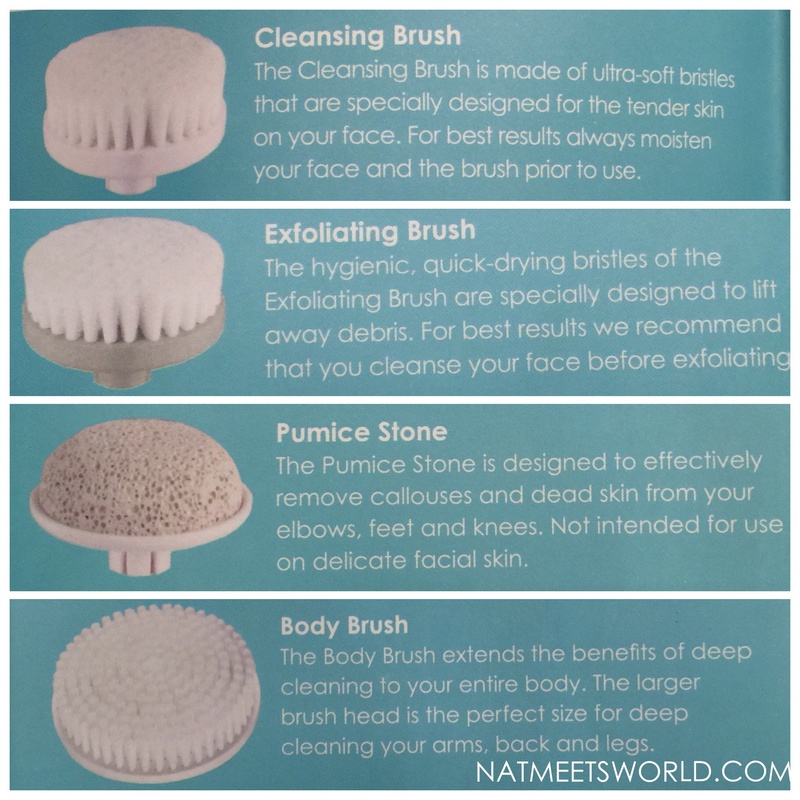 What I love most about the Spin For Perfect Skin brush is that is comes with four adjustable heads to not only remove dirt and make-up, but to clean your entire body as well! 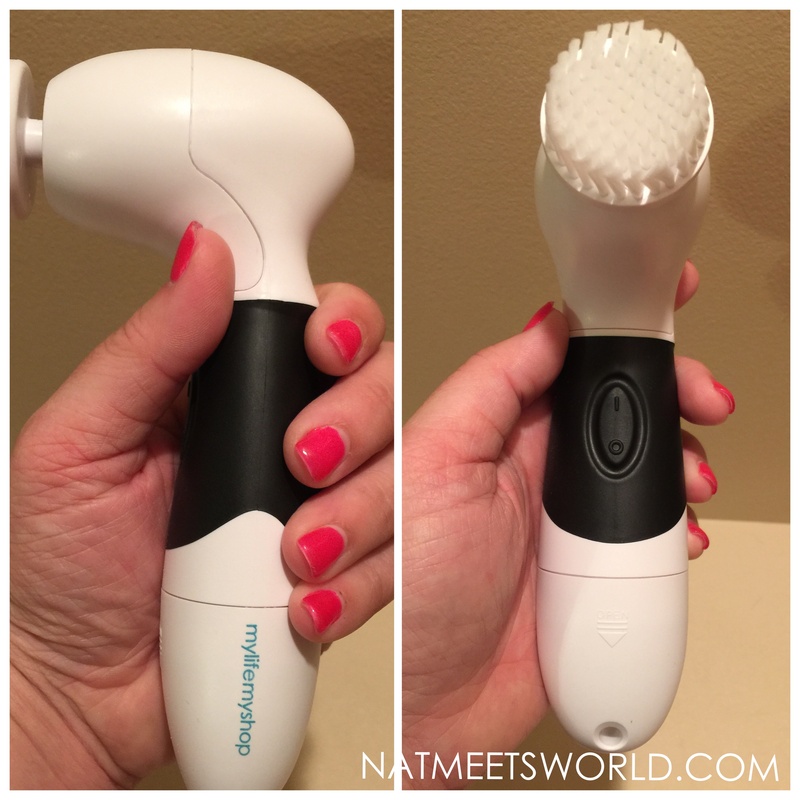 I love using the body brush with a deep exfoliator so that the rest of my body feels as clean and fresh as my face. The pumice stone head is also great for removing tough skin in between pedicures! Check out the brushes and their benefits below! I also really love how powerful the brush is and how easy it is to grip it. It’s a comfortable fit and perfect for anyone to use! Here is the best part about purchasing the Spin For Perfect Skin FaceBrush…..it’s 70% off! This baby comes out to $30 when you use the code JSKIN2SPIN. Do you use a spin brush to take care of your skin? How do you feel about it? Comment below!